A suitcase per person, packing, unpacking, did it all arrive at the baggage claim - family travel can be an Odyssey. We always try to travel light, but after several years of trying and testing we finally have arrived at an truly ultralight setup which allows us to use only one duffel for the four of us. Read on to find out how we achieved travel bliss! Disclaimer: This article has been supported financially and with equipment by Eagle Creek. This did not influence the article as I maintain full editorial control of the content published on this site. There are affiliate links in this article. Read the Transparency Disclaimer for more information on affiliate links & blogger transparency. We have travelled with a combination of luggage - a large suitcase, my Arc’teryx Carrier Duffles or just a backpack when going for a weekend somewhere. And while all of these where fine and did get the job done - transporting clothing and stuff from A to B - it never was a perfect experience. Sometimes the suitcase got broken or something arrived late, or the most common problem that the packing for going home was more difficult because things didn’t fit in as nicely in anymore as on the way there and there was more. The solution for me seemed simple: One piece of luggage for the four of us and a set of Eagle Creek Pack-It Specter Cubes for each family member, colour-coordinated so everyone can find their clothes quickly. 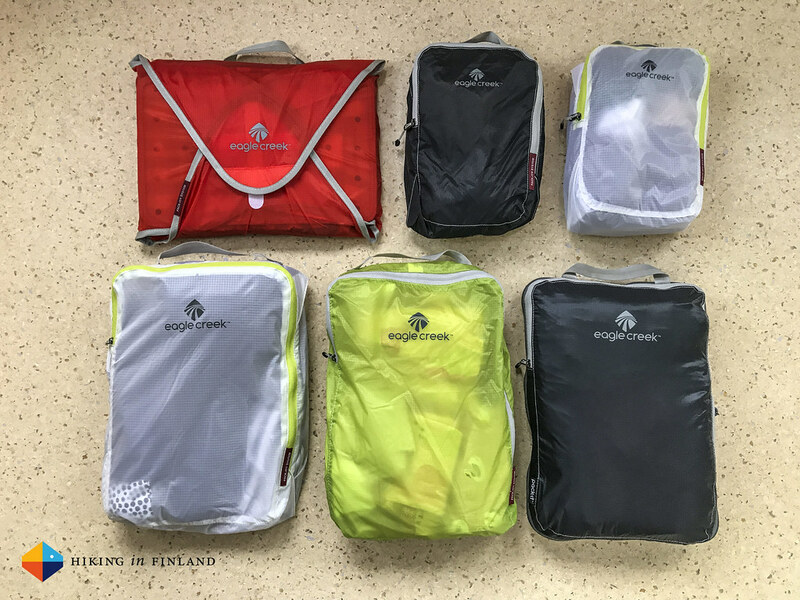 I myself have used Eagle Creek Pack-It Specter Cubes for a couple of years now and really liked them - they allowed me to pack fast & easy with all garments of one kind in one cube. So getting a set for each family member seemed like a logical solution - this way everyone can pack their shirts, pants, socks and underwear together and easily finds their garments. The more difficult thing was to decide on a luggage suitcase or duffel. Because I already own three great duffels of varying size and like that especially at home they pack down to a small package, it was easy for us to keep on looking for a duffel. 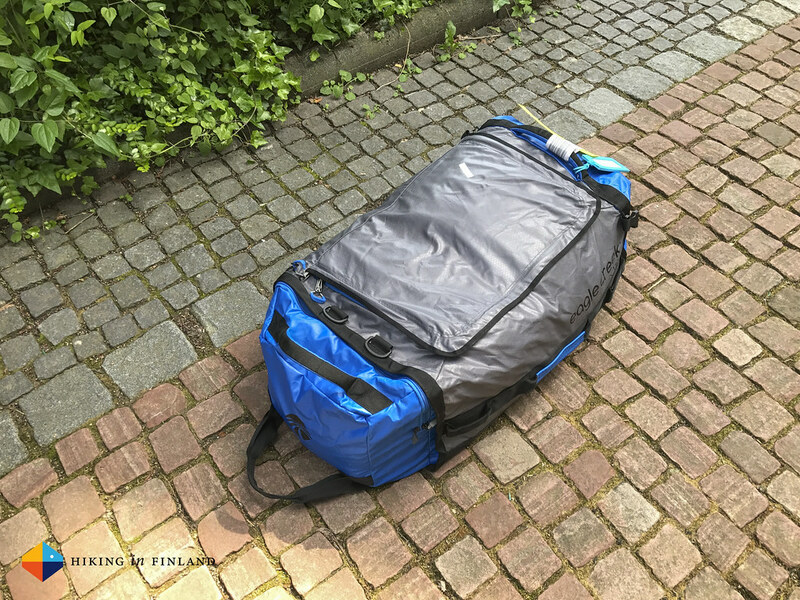 But what we knew we wanted was that it should have wheels so it is easier to transport - carrying a full 120l duffel is alright, but it is way more comfortable to pull it after yourself. In the end I picked the Cargo Hauler Rolling Duffel XL - because it had wheels, is made from durable and water-resistant material AND is covered under the Eagle Creek No Matter What Warranty which covers the Lifetime Warranty promise plus the added insurance of repair or replacement due to product failure during the product lifetime, regardless of the cause. That means this should be for the next fifty plus years of travelling the only duffel I will ever need - and should it ever get damaged it’s easy to send it in for repairs. If you ever needed to go buy a new suitcase because your airline damaged yours you’ll appreciate this a lot! A big reason why we four were able to travel with just one 120l Duffel was that all four of us had a set of Pack-It Specter Cubes. 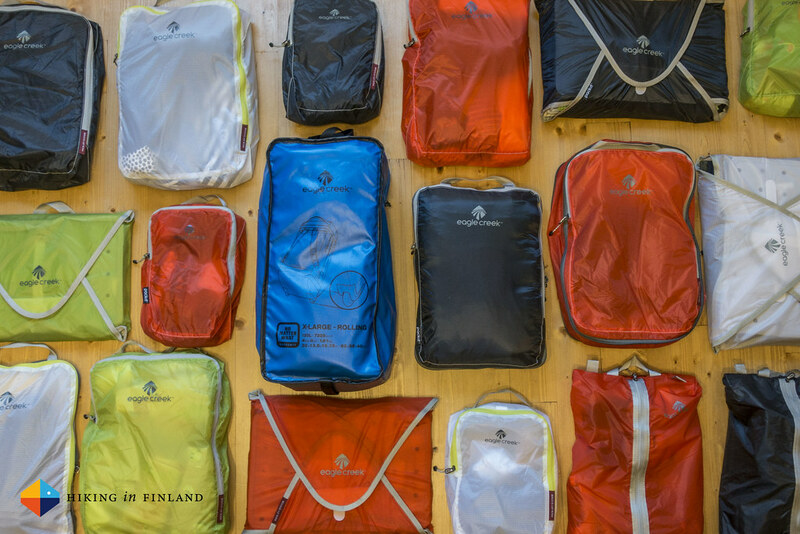 My favourite of the bunch is by far the Eagle Creek Pack-It Specter Compression Cube. I usually pack four to five T-Shirts, an extra pants, shorts and a running shorts and shirt in these, and the zipper which runs around the cube compresses these garments to half the size. This is especially useful if I fly only with a carry-on as then space is at a premium and the Compression Cube lets me save quite a bit of space! It is also available as a Set with a large Compression Cube and a Half Compression Cube, which are a good investment! The Eagle Creek Pack-It Specter Garment Folder is a god-send for someone like me who can not fold his button-down shirts in a good manner. The included plate lets me fold up my shirts in a clean and elegant manner so I don’t need to iron them where I arrive, which is another thing I’m not particularly good at or fond of. So anything that makes my life easier is a welcome addition! I had five shirts in the Garment Folder and there was still room for a couple more, so especially if you travel for business this one is the Pack-It Specter to get. The Eagle Creek Pack-It Specter Cube and the Eagle Creek Pack-It Specter Half Cube are similar to the Compression Cube - sans compression. I pack in the Half Cube all my socks and underwear - or on some weekend trips I even have managed to only need this one to pack a shirt, boxer shorts, socks and pants. In the normal-sized Cube I pack garments which need a bit more space - an insulation jacket and hardshell for example. Finally, the Eagle Creek Pack-It Specter Shoe Sac is just one of three Cubes Eagle Creek bags to transport your shoes. The Shoe Sac is fine for a pair of sandals and an extra pair of shoes, or four pairs of kids and toddle shoes. These allow you too keep your duffel and other things in your bag clean and not get in touch with the dirt from the street or trails you’ve been running on. If you like the sound of these Cubes then a good start is of course on of the Eagle Creek Pack-It Specter Cube Sets which gets a set of three cubes - that’s plenty for most ultralight travellers - or take the set with the Garment Folder if you travel a lot for business so your shirts stay in a good shape! 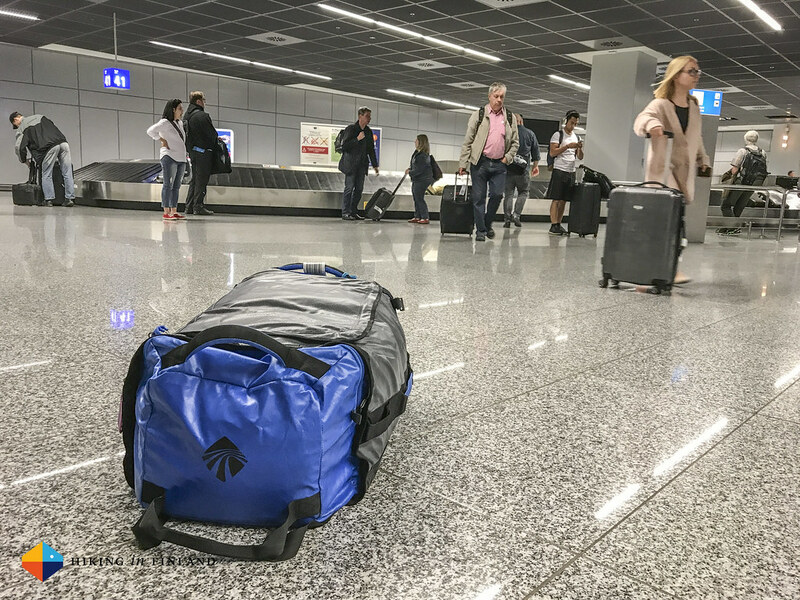 With the help of Eagle Creek’s genius Pack-It Specter System and their Cargo Hauler Rolling Duffel XL our little family of four can now travel with just one piece of checked luggage - an ultralight dream come true. 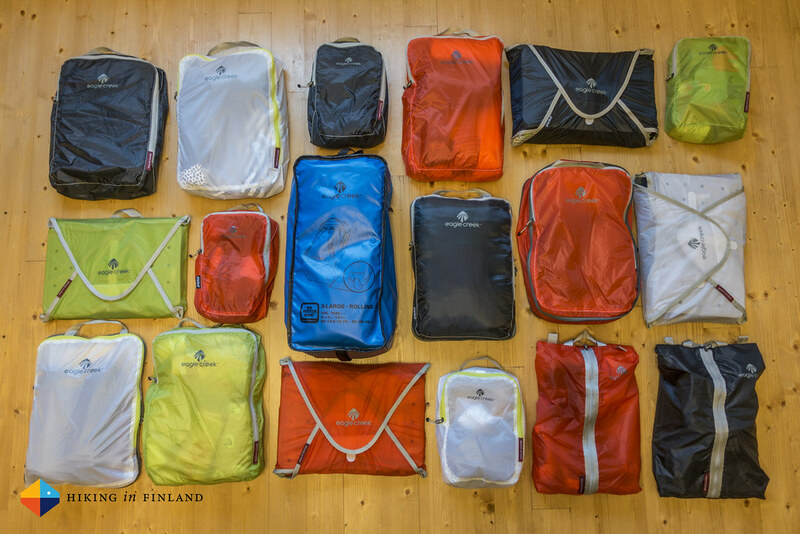 It’s easy to pack gear at home and when leaving from the destination, and thanks to the colour-coded Pack-It Specter Cubes every family member can easily find their garments. The Compression Cubes minimize gear, the Shoe Sac keeps dirty shoes away from other garments & gear and the Cube & Half Cube pack garments in an organized manner. 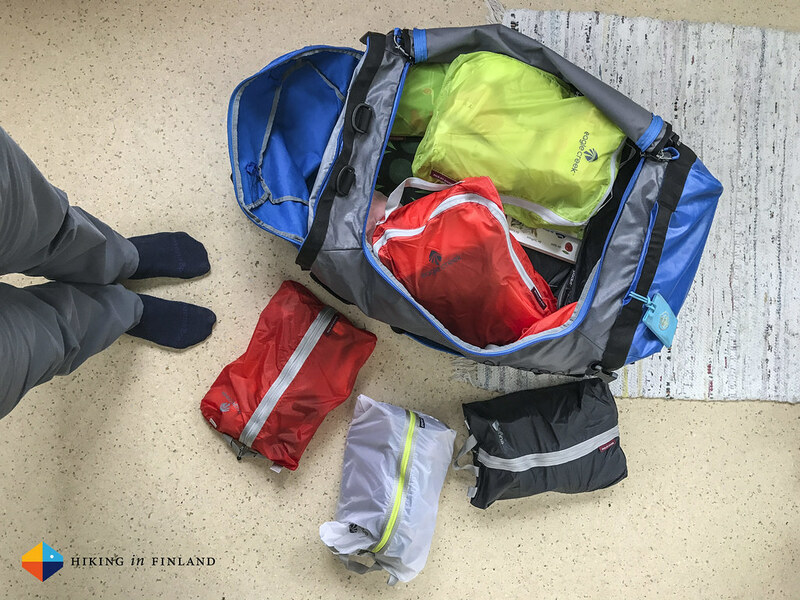 At the destination it’s easy to find shorts and socks by looking in the Cube you packed them, and packing for going home is just as simple as it was when you left! Finally, back at home the Cubes and the Duffel can be stored in a compact manner so don’t take up a lot of space!